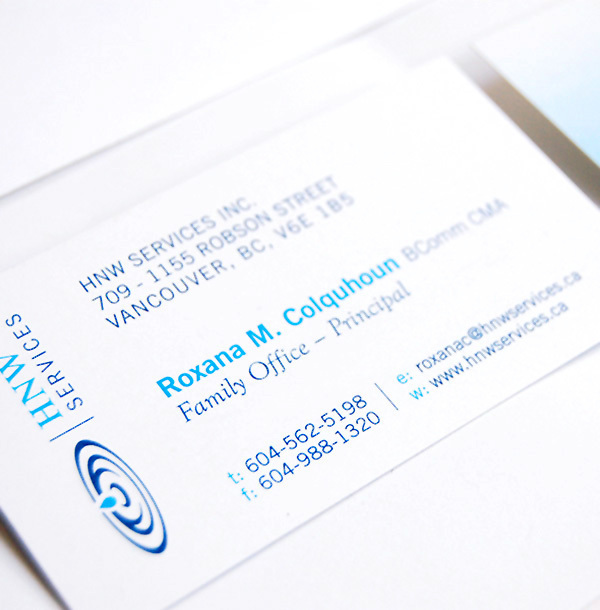 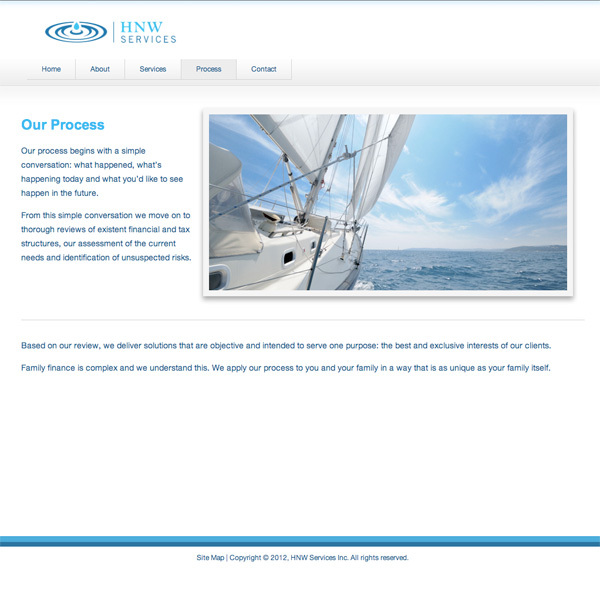 HNW Services Inc. came to us to redesign their brand. This exclusive boutique business provides financial counsel to highly successful entrepreneurial individuals and their families. 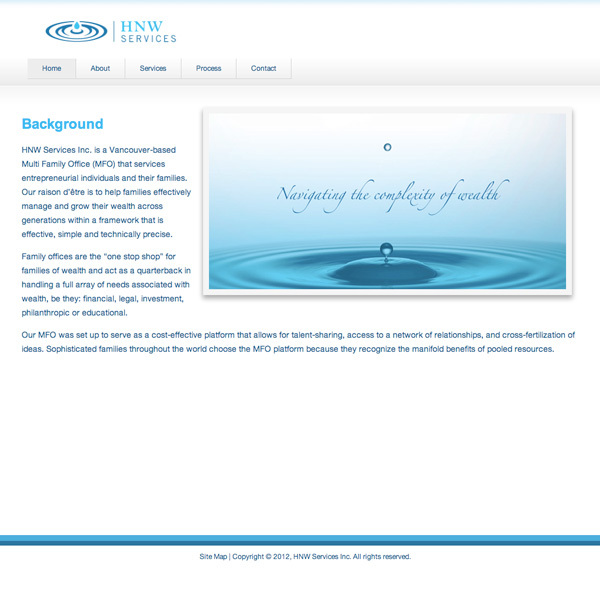 First, we partnered with HNW Services on a comprensive business assessment which drove the creative strategy. 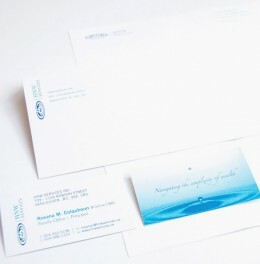 Then, we designed their financial services logo and stationery package. Finally, we developed their website by starting with an existing design and customizing it to meet their unique needs. 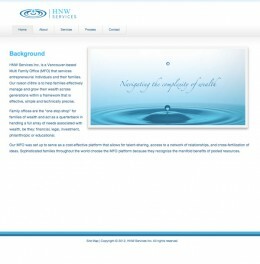 The result was an elegant understated website that effectively introduces HNW Services to their clients.